Forget Mayweather vs McGregor. The real super fight for 2017 is the long-awaited return of Georges St. Pierre to the Octagon. Pierre had formerly been one of the best (if not the best) fighters in all of MMA until his retirement in 2013, namely to nurse injuries, which caused him to vacate his title as champion. He will face Michael Bisping, the current Middleweight champion, on November 4th for UFC 217: Bisping vs Pierre. 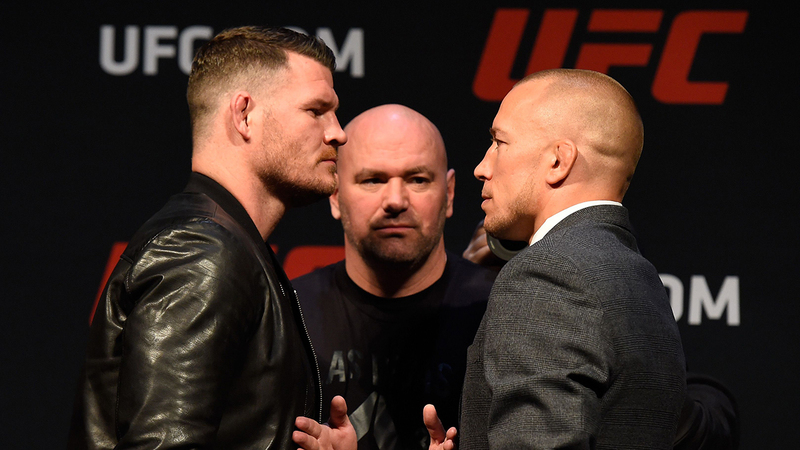 The two combatants faced off yesterday for the first official press conference and face-off. Pierre seemed poised and professional with the exception of a small shove that came when Bisping grabbed ahold of his arm. It was all in good fun and typical of the showmanship of the sport. During the press talk, GSP mentioned how he would be on the other side in this fight, being the challenger challenging the champion. Bisping laid into him with the usual trash talk. You can watch the full conference over on the UFC YouTube channel. This will be GSP’s first fight in four years and it has everyone wondering if he’ll be able to shake off the ring rust and perform the way he had in the past. I’m betting the answer is a definite yes. If I remember correctly, the first UFC PPV I ever purchased on my own was UFC 111: St-Pierre vs. Hardy in 2010. I was an avid watcher of the Pay-Per-Views up until Pierre sort of retired, so his return is just the thing I was waiting for to jump back in. We will be officially starting our UFC coverage with this event.